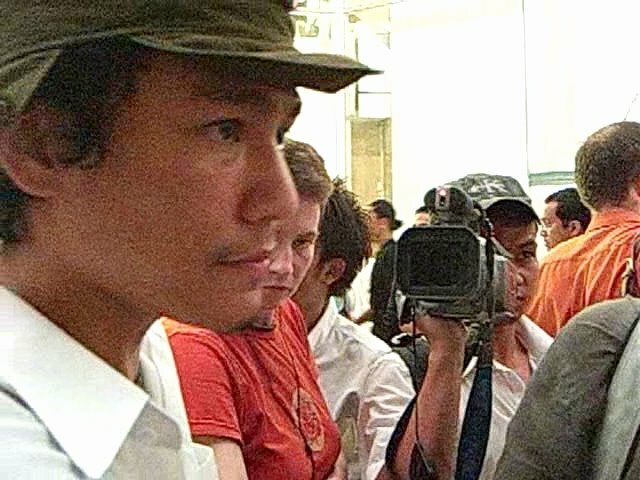 Three days after the coup of September 19, a group of pro-democracy protesters gathered outside a shopping mall in downtown Bangkok to show their opposition to the military government. Gnarly Kitty and Jotman were there live. Gnarly Kitty, Mob at Paragon, Gnarly Kitty: See what the cat drags in! Zuckerman and McKinnon, Gathering Voices to Share With a Worldwide Online Audience, Nieman Reports.